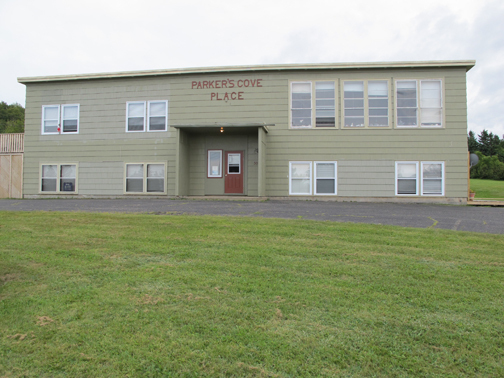 The EGPC studio is located at 30 School Street, Parker’s Cove, just 8 minutes from downtown Annapolis Royal. Our focus is on non toxic etching , relief and letterpress techniques. We have a small quantity of screenprinting supplies for members with their own screens. tarlatan and miscellaneous collection of rulers, lino cutting tools, bench hooks etc. 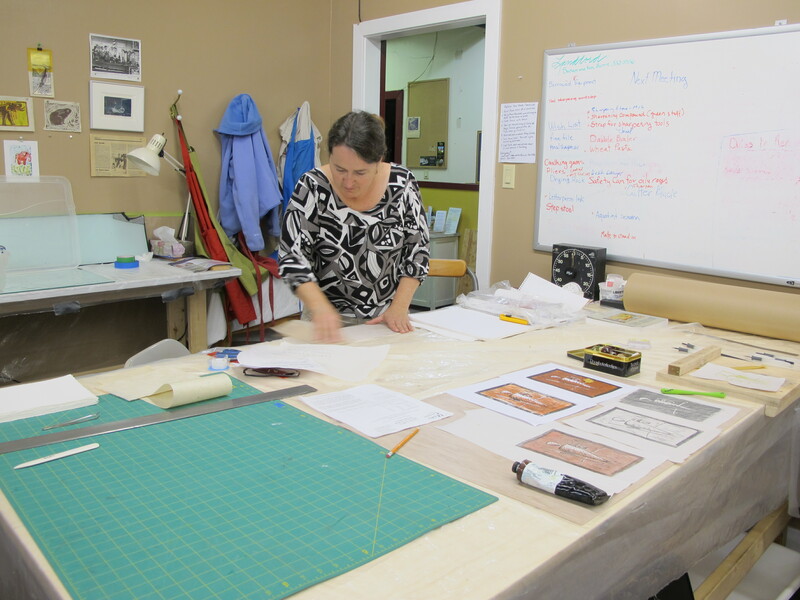 Members supply their own plates and paper for proofing and printing. We do carry a selection of paper that members may purchase. Etching using zinc or aluminum is possible using a copper sulfate solution or ferric chloride for copper plates. Screen printing is limited to stencil or hand drawn methods as we do not have darkroom facilities. Annapolis Royal is a small rural town with a population of 500, located in southwestern Nova Scotia. Art supplies are sometimes hard to find locally.